Being part of a team is a fun and rewarding experience. 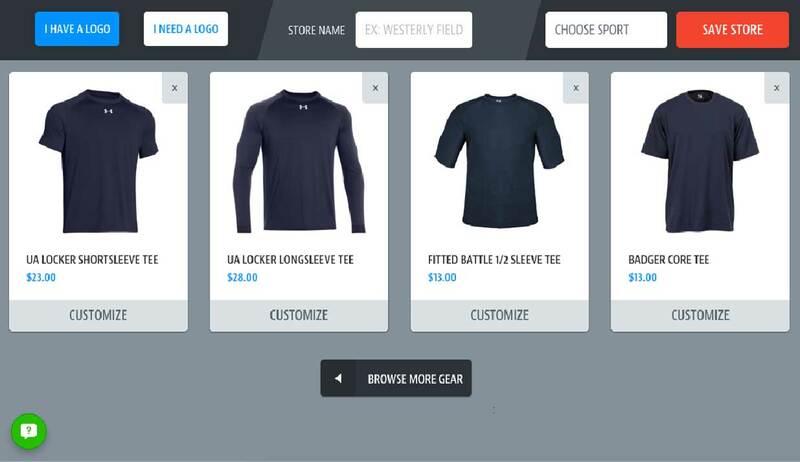 SquadLocker is here to make buying apparel and gear feel the same way. 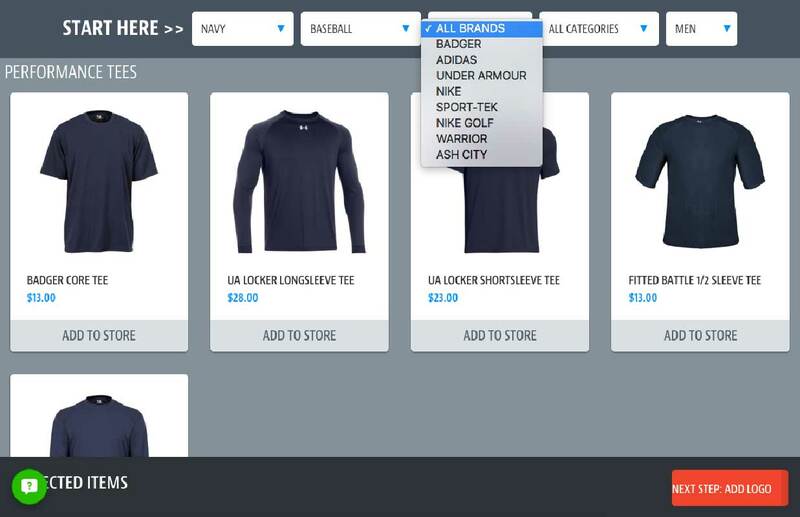 With our innovative Store Builder you can set up an online store for a small team or an entire league in just minutes. We can even help with free logo design services. At SquadLocker, We Love Teams and we really like to show it. You can choose from over 30,000 items manufactured by the industry's most respected brands. Filter for the exact item you're looking for. You can filter by color, sport, brand, category, or size group in the 'Start Here' bar at the top. When you've found what you want, just click 'Add to Store' and watch it appear. When you're done, click the red 'Next Step’ button in the bottom right corner. We accept nearly any kind of file when you create your store. Simply upload your current logo and our in-house design team will review it to make sure your logo is ready for the field. If your logo doesn’t look perfect we offer FREE Logo design services with no strings attached. We will make the edits and update your store with the enhanced logo. If you don’t have a logo just click on the white ‘I Need A Logo’ button and tell our graphic designers everything you have always wanted in a logo. Then get ready to be blown away. In your ‘My Stores’ dashboard we supply custom sharing tools for you to easily share your new store with your Coaches, Players and Parents through email and social categories, Essential and Optional. Essential items are need-to-have items for players in order to participate in the current season. Optional items are for players, parents, coaches and fans. WE DELIVER EACH ORDER DIRECTLY TO YOUR BUYERS. 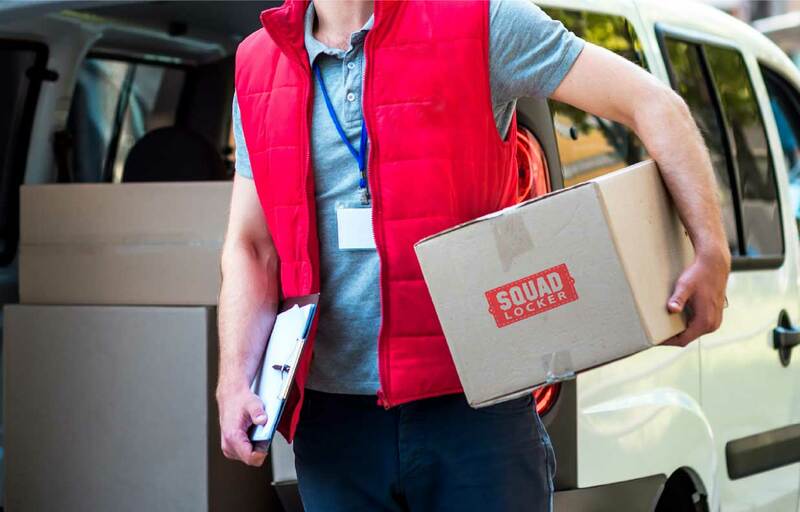 We want you to be happy with the items you buy and the way you are treated while working with SquadLocker. That’s why we have developed our Customer Bill Of Rights to demonstrate our commitment to you and your team. We are proud of our no-hassle return policy. Every order is shipped with a prepaid return label, simply ship back the items you are dissatisfied with in the original packaging and include a note explaining if you would like credit or to exchange it for a different size or item. or chat with us by clicking on the chat bubble on our web site. 8:30 am until 5:30 pm EST. building a store, It’s Free!